The dense build-up of some insulation makes it ideally suited for containing sound. This may be the bustle of a major city or laughs of a children’s play room. Many of the acoustic insulation slabs minimise the transmission of sound whilst also maximising thermal efficiency, making them truly multi-purpose. Due to a high-density form factor and use of innovative materials, various insulation slabs stop sound from spreading throughout the home. Some manufacturers have also introduced unique design features to minimise sound transmission further. 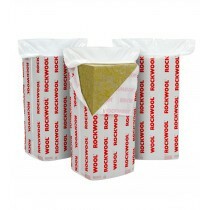 Such an example of the patented flexible edge of Rockwool FLEXI, which ensures a snug fit and prevents sound leakage occurring around the edges of your insulation. Sound will spread around the home or office through virtually any means. This includes walls, floors and roofs. Ensuring that each part of your property is well insulated is therefore necessary to achieve a quiet, comfortable environment. This is particularly necessary in dwellings, where strict building regulations set a minimum level of acoustic insulation. Preventing the spread of fire through the cavities of your property is essential. Manufacturers have therefore utilised non-combustible materials within their acoustic insulation. This has resulted in many receiving Euroclass A1 accreditation and also extends escape time should a fire occur. Have More Questions About Our Acoustic Insulation Slabs? If you have more questions about our range of insulation, simply speak to our team online or by telephone. We will be able to help you pick the ideal acoustic insulation for your project, whether it is being used in a residential or commercial property.